The Samsung Galaxy S6 made a splash at Mobile World Congress 2015: after all, it’s the first Samsung phone to feature a sturdy metal frame and glass on both the back and the front, a welcome change from the mundane plastic designs of yesteryear’s Galaxies. You know which phone had a metal frame sandwiched between two pieces of glass way before, though? The Sony Xperia Z series, and the launch of the Galaxy S6 is a perfect occasion to see how these somewhat similar design-wise devices compare. Keep in mind, though, that the Xperia Z3 is a device that’s a few months old, and as such it comes with less capable hardware, but also a reduced price. The Galaxy S6 is a lot about a re-focus on design: it’s slim and lightweight, made of premium quality materials (metal for the frame and glass on both front and back). The Xperia Z3, on the other hand, features the same materials, but it’s got a slightly different shape, it’s a bit wider, heavier and a hair thicker. The differences are as follows: width measures at 2.78” on the S6 and 2.83” on the Z3, thickness is 6.8mm on the S6 and 7.3mm on the Z3, and finally weigh is 4.87oz on the S6 and 5.36oz on the Z3. It’s also worth mentioning that the S6 features a protruding camera, while the Z3 has a camera module that’s flush with its back. It’s not a big deal for us, but when you lay the S6 flat on a table it does wiggle a bit. The Galaxy S6 also has a fingerprint scanner that the Z3 lacks. The S6 finger reader is no longer swipe-based - instead, it’s a touch sensor like on the Apple iPhone 6, and that is a welcome improvement. Samsung bragged about the Galaxy S6 having the best screen on a smartphone. It’s a 5.1-inch Super AMOLED screen with a 1440 x 2560-pixel (Quad HD) resolution, and Samsung has done some huge improvements to the brightness of the S6, saying that it can now go to up 600 nits. The Sony Xperia Z3, on the other hand, features a 5.2-inch LCD display with a 1080 x 1920-pixel resolution. Both are very sharp displays and it’s hard to see any jaggged pixels on either. If you care about the numbers, the difference in pixel density is 577ppi vs 424ppi. What we care a little more about is the actual color reproduction of the two phone. The Galaxy S6 brings an improvement in color accuracy (from earlier, greenish AMOLED displays), while the Xperia Z3 already has fairly good color reproduction. Super AMOLED has traditionally great viewing angles as well. We’re yet to take a deeper look at color fidelity on both devices, but at first look both appear very pleasing to the eye. The Galaxy S6 runs on the latest version of Android, 5.0 Lollipop, while the Xperia Z3 features Android 4.4 KitKat (with an upgrade path to Lollipop). Quite honestly, TouchWiz is the single area we’ve hoped to see most improvements, and - at first look - the new version of Samsung’s interface indeed appears to deliver. It seems to run a bit faster, and Samsung has also trimmed the fat off TouchWiz making it less visually cluttered, and some (but not all) icons are streamlined to look better. There’s still this cheerful cartoonish look, but it’s much less visually self-assertive. Sony, on its part, uses its custom skin with very few touch-ups over stock Android. It is fast, has to-the-point speedy animations, and works well without much of a gimmicky element to it. Samsung is now also a step ahead of the rest in the Android ecosystem with Samsung Pay, the new payment system using the fingerprint scanner. Samsung Pay launches in the United States and Korea this summer. Let’s see how this plays out in the near future. The Galaxy S6 features a 14nm octa-core system chip with a big.LITTLE configuration using four cores running at up to 2.1GHz (likely, A57s) and four running at up to 1.5GHz (likely, A53s), and it’s the first phone to come with a 14nm chip, according to the company. Samsung did not say that it is using the Exynos 7420, but all indications point in that direction. The Xperia Z3, on its part, ships with a Snapdragon 801 system chip silicon, a quad-core chip with Krait cores running at up to 2.5GHz. Take a look at the benchmark scores right below to see how the two compare. Good news is that with the Galaxy S6, Samsung does away with 16GB of internal storage and finally makes the jump to 32 gigs of internal storage in even the base model, while the Xperia Z3 features half the storage at 16 gigs. The Z3, however, does support an expansion microSD memory card slot, while the S6 does not have expansion capabilities. The Samsung Galaxy S6 sports a 16-megapixel main camera, while the Xperia Z3 has gotten a 20-megapixel main shooter. The Galaxy S6 also has optical image stabilization (OIS), while the Xperia Z3 has (a very good) software stabilization. Technically, the S6 has a very wide, f/1.9 aperture lens (on both the front and rear cam), while the Z3 features an f/2.0 lens on the back. If you watched the Unpacked event, you have seen Samsung take a jab at Apple and show some very impressive samples to demonstrate how it has outgunned it in the camera department. As for the Xperia Z3, stay tuned for camera samples (we hope to add them here soon). Samsung brings some neat improvements to the Galaxy S6 battery life and charging speed. Spec geeks will be quick to notice that the actual battery capacity has gone down from 2,800mAh on the S5 to 2,550mAh on the S6, but with a more energy-efficient system chip, its most efficient display, and all of Android Lollipop’s improvements Samsung is able to achieve 12h of Wi-Fi browsing, 11h of LTE browsing, 13h of video playback and 49h of music playbac. Turning to the Xperia Z3, it features a 3,100mAh battery that scores among the very best in our battery rankings, and could even outlast that of the S6. Samsung also introduces fast charging capabilities to its Galaxy S6, a feature that the Z3 lacks. The S6 charges up to get an additional 4 hours of use with just a 10-minute trip to the charger. The Galaxy S6 also ships with wireless charging capabilities without the need for an additional cover which is great (it’s also another feature the Z3 lacks). The Galaxy S6 finally brings Samsung in the territory of premium looking and feeling smartphones, a place where Sony has been for quite a while with its Xperia Z series. The Galaxy S6 is a bit more compact and thinner, which is nice, but it also brings some huge improvement to performance: it’s the one with the more capable silicon, a faster camera, and a newer version of Android 5.0 Lollipop. With all of those trump cards, those who don’t care about the price, would likely go for Samsung’s solution, don’t you think? 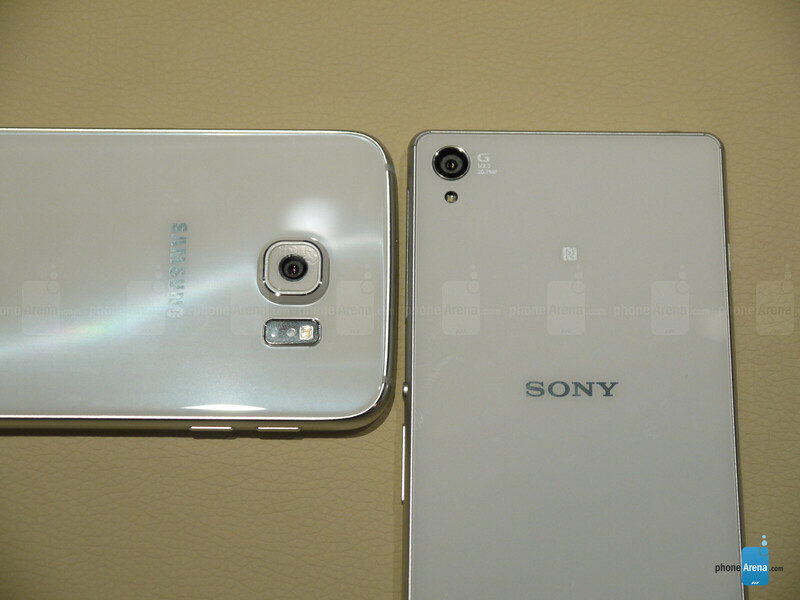 Call me crazy, but in terms of hardware design, I still prefer the Sony Xperia Z3. You are not crazy. Z3 looks way better than S6. Hardware is better on the S6. Exynos vs Slowdragon. Yes, the processor is much better on the S6/S6 Edge. 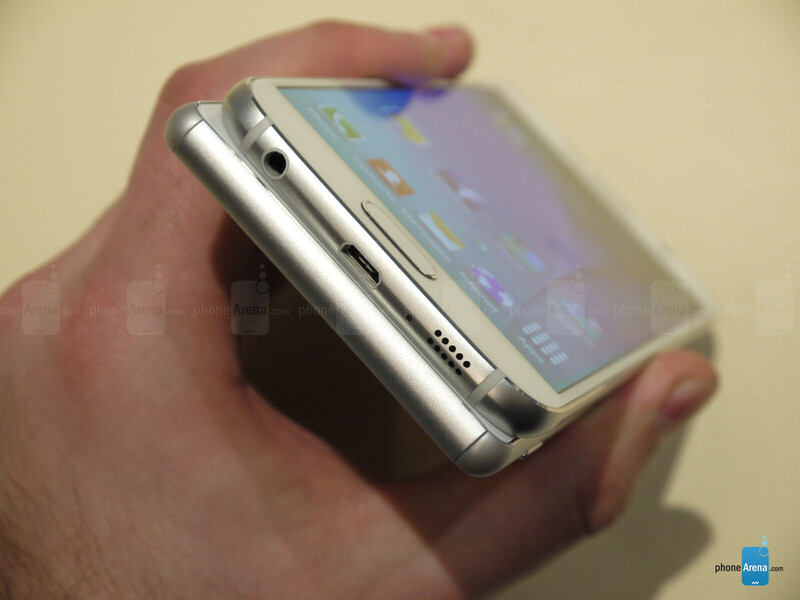 Anyone know what audio features the Galaxy s6 comes with compared with z3? I think the audio capability of GS6 with Exynos should be better as in the past they are known to provide the superior Wolfson DAC on chip. With regards to speaker, Z3 was pretty average and wasn't as good as HTC M8 on release. Waterproof speakers.. Still better than all galaxy's.. Yeah.....I can imagine that being extremely useful to mermaids ! You don't need to be a mermaid to use a waterproof smartphones.. I never hide my phone inside a plastic cover when it rains.. I don't care accidental drops into water.. I love taking under water snaps.. Most of today's phones are rain proof at least. I've used my sister's Galaxy Alpha several times in heavy rain without any issues. They are not as good as in the One M8 but they are definitely well above average. Dude it's not about the loudness. Well it's also about that. But the quality of the sound is waay better on the Z2 than on almost any phone and it's much more enjoyable to listen. 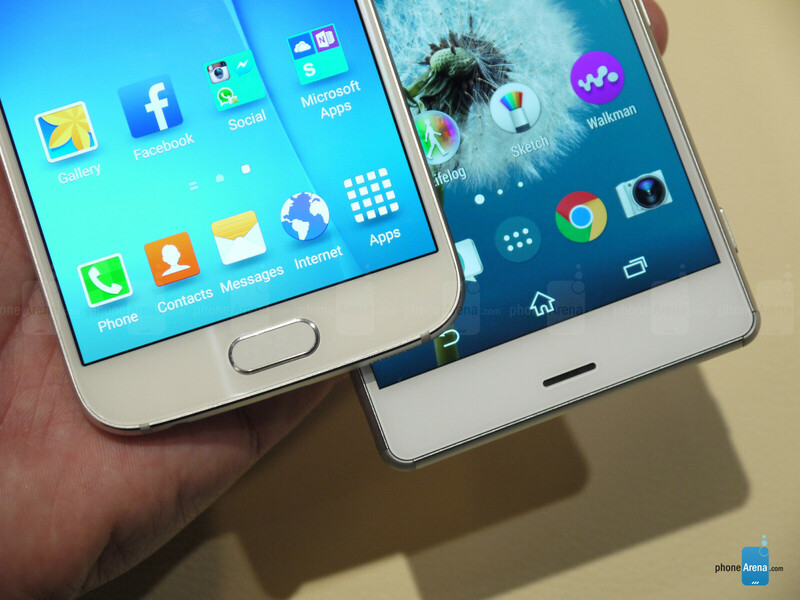 I think the MicroSD is the only missing feature in GS6 apart from that GS6 overshadows Z3. 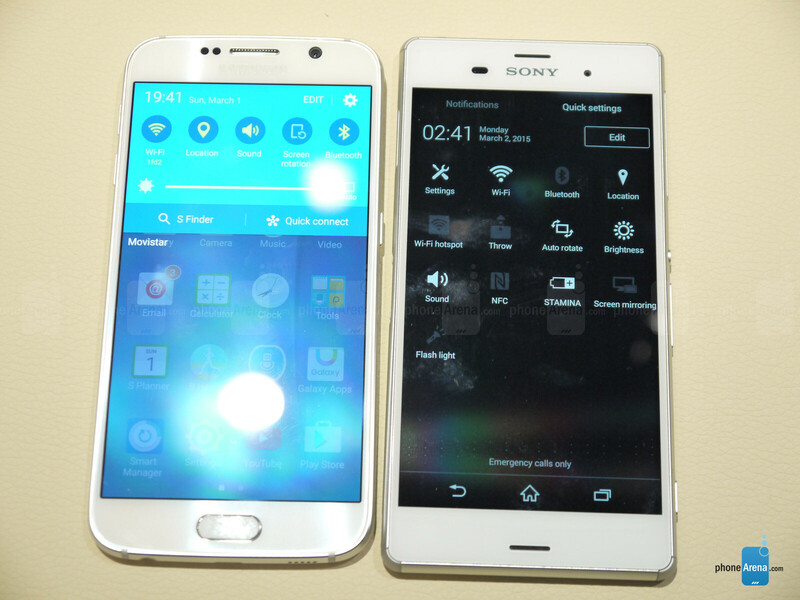 On sheet Z3 might look better in certain aspects but in reality GS6 will blow it away. -Z3's camera was already worse then GS5 so GS6 would be much better, -Z3 had front speakers but weren't so good as compared with M8 so don't know in comparison to GS6. -Display. One word: QHD AMOLED (okay its two). Z3's display is mediocre in comparison to other LCDs at best. Nothing outstanding. -Exynos with Wolfson DAC on chip should produce better sound quality then Sony. -Battery life. I think Z3 might be better here but don't discount Exynos which is 35% and that super-efficient display. 1. Funny how you say 'all other comparison Z3 blows away' yet you fail to link even one. Here let me give you few reliable site's link: http://goo.gl/h7CrDl (z2 and Z3 has same cam)http://www.dxomark.com/Phones (Z3/Z2/Z1 all rank behind GS5) Not only that Note 4 (GS6 will only be better) won in blind camera so not only mine or PA but more then 5000 readers !!!! Note 4 also won blind camera test against a freakin DSLR !! !http://goo.gl/WGJEJAhttp://goo.gl/7qfCz8 2. LOL....Nice logic 'coz its front speakers' it'll be better then downward facing speakers.....I only compared it with M8 because we don't have Z3 vs GS6 yet. So I just pointed out Z3's speaker are mediocre at best. Also, Note 4's speaker is already the loudest:http://goo.gl/WFkV5t 3. 1080p is more then enought but QHD is better ! When I pay $800 phone I expect it to be the best and not just 'more then enough'. Also there are lot of advantages of Amoled like UPSM is possible, adv of edge display and S View cover without turning on the entire display. 4. Battery life. No need to speak because we'll have to wait and find out. 14nm SoC is 35% and so is the display. Results can be close. Besides, GS6 will take approx 1 hour to charge while Z3 takes 4 HOURS TO CHARGE !!!! !http://goo.gl/s2h3kB 5. By the time Z4 and iP6s is in the market GS6 would've already sold more then the entire Xperia Z series COMBINED (if we look at the history). Besides its not sure if Sony will continue to stay in mobile business. They can't even provide timely updates. These camera comparisons aren't tested in manual mode. They are all tested in automatic untouched settings mode. So that's irrelevant but nice to know. - DAC plays no real role in sound quality, except for processing and implementation, it's the amp that will determine everything. Why do you think the M8 with Snap801 has been besting even the Exynos'? - Samsung has no USB Android audio bypass, unlike Sony with their 24bit drivers. In other words Sony is the only big brand OEM with USB bitstream. - Stereo speakers weren't as good as the M8, but it was still a step above the mono competition. - MicroSD isn't the only thing missing, there's water/dust insulation. - GS6 might have UFS 2.0, but Z3 flash memory is no sloth:http://www.phonearena.com/news/Android-storage-speed-comparison-which-phone-has-the-fastest-IO-performance_id65588 - Z3 is also available as a dual-sim variant. All in all, I agree GS6 will be the 'better' phone, it is after all an entire generation ahead. But considering the Z3 will be 6 months old and at a discounted price, there is no reason pass on the things that are still good. I was a bit disappointed by the fact that they didn't flaunt any audio capabilities like DAC, headphones, audio qualities. While the Galaxy s6 seemed to be a direct comparison against iPhone 6 with the photo quality, they never mentioned the audio side of things! iphone 5 and iphone 6 sound the same and so do the samsung s5 and s6 with the same perfect flat FR. IMHO nowdays smartphone flagship sound quality is already perfect. The Xperia Z3 seems to be the only phone that doesn't get crushed by the S6 in these comparisons. Which makes sense considering it's the newest out of the 2014 flagships. In fact, delay it for 2 more months in Canada and it would be a 2015 phone. Z3 is still better looking than s6. wonder if samsung can outsource the design engineers from sony before finalizing s6. PA you omit to mention that Sony managed to design a premium metal-glassed phone (since 2013) and make it water-proof at the same time. Not a feature everyone wants but certainly a differentiator.